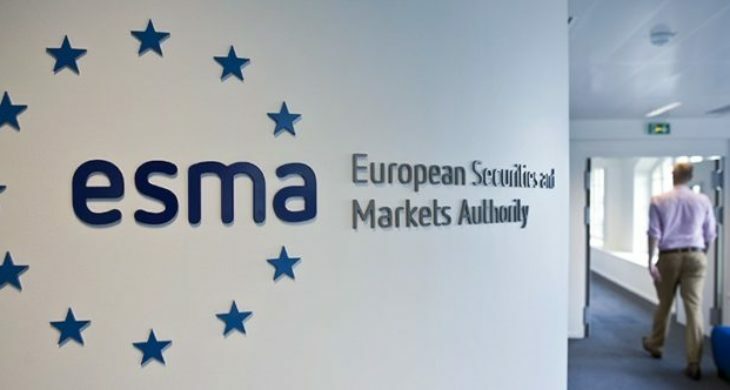 The European Securities Markets Authority ESMA has come out with the verdict on the leverage restrictions for the industry. Despite the numerous feedbacks from clients and brokers, the ESMA has thought it wise to limit the choices for leverage for retail brokers. The verdict is meant to prevents the marketing, distribution and the sale of binary options and introduces tiered leverage for different financial instruments. Any contracts for Differences (CFD) that are permitted on offer will need to abide by strict requirements and are momentarily confined to a set of draconian rules. The imposed restrictions on leverage for retail clients will be introduced in several tiers. CFDs that are on all major FX pairs will be traded with 30:1, indices, non-major currency pairs and gold will be traded at 20:1, while other sets of commodities and non-major indices will be provided with a 10:1 gearing. Brokers will also be able to offer traders equities at a 5:1 leverage and cryptocurrencies at 2:1. As was expected, brokers will also need to provide negative balance protection and close out margin positions whenever the account gets to 50% of the minimum margin required. In addition, bonuses, as well as any other forms of incentives, are frowned upon, whiles brokers are required to develop a standardized risk warning which displays the percentage of clients that lose money. The ESMA hopes to establish these new restrictions on CFDs shortly after its decision on March 23 is publicised. These restrictive measures will be rolled out in the official languages of the EU in the upcoming weeks, after which ESMA will make an official publication of the notice on its website. The procedure requires that the measures be published in the Official Journal of the EU. The restrictions on binary options are expected to to be implemented officially within a month after its published. The restrictions on the CFDs, on the other hand, is expected to be fully implemented within two months after its published in the EU’s Official Journal. In accordance with the regulations of MiFIR, the ESMA is allowed to implement such interventive measures on a momentarily basis for three months. It is expected that the regulator will publish those before the three months period ends and will also be taking into consideration the need for an extension after every three months period. The Chairman of ESMA elaborates. According to the official announcement, the decision made by the European Security Market Authority’s was based on the desire to protect retail investors. The ESMA considers the use of excessive leverage and binary options to be products that have an inherent structurally expected negative return. “The integration of the promise of high returns, a digital platform that is easy to trade on, and a low-interest rate has created a proposition that is appealing to retail investors. However, due to its inherent complexity and excessive leverage- in CFDs case has caused significant losses for retail investors. A pan-EU method is needed considering the cross-border nature of binary option, and as such interventions from ESMA is the most appropriate and effective tool to address the protection issues with investors.